For Dr. Capellan, providing world-class dentistry and improving her patients’ dental function, overall health, and aesthetics is extremely fulfilling, both on a personal and a professional level. She completed her undergraduate education at Florida Atlantic University, graduating with a Bachelor of Science degree in Biotechnology in 2005. She then went on to graduate from Florida Atlantic University with a Master of Science Degree in Biomedical in 2007. 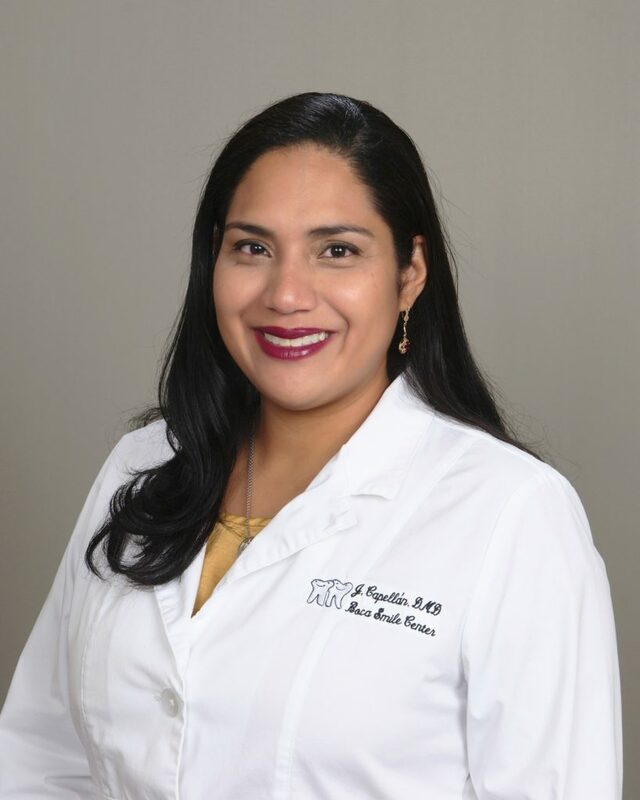 Dr. Capellan earned her Doctorate of Dental Medicine in 2012 and completed her General Practice Residency in 2013 from University of Kentucky College of Dentistry. Dr. Capellan is proud to be able to give back to her community by providing the best ethical and honest dental care possible. She sees herself as an educator and believes that she can change people’s perspective on the importance of dental care.